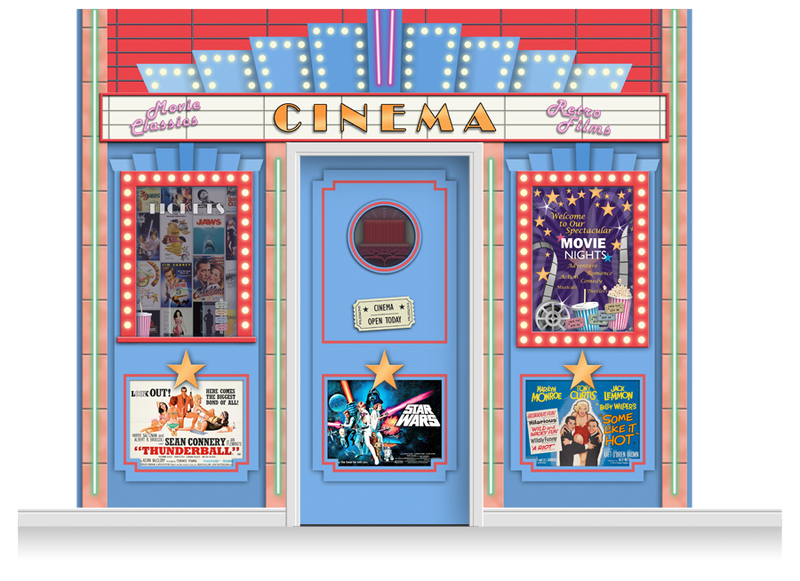 This 'Cinema' mural is ready to 'order and print' - or you may customise it. This Shop Front, here configured as a Cinema, is modular in design, and may be configured with different signage to suit your purpose. 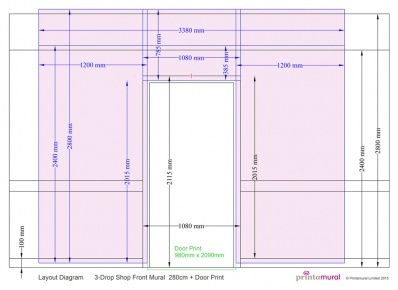 Please view the How To Customise Tab to see how you may personalise your mural.